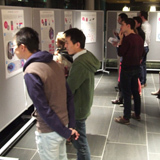 The Early Detection Programme is a flagship initiative of the CRUK Cambridge Centre. It brings together basic, translational and clinical scientists, spanning a broad spectrum of disciplinary approaches and expertise in multiple cancer types. The programme is led by Professor Rebecca Fitzgerald (Professor of Cancer Prevention and Honorary Consultant, Gastroenterology, Cambridge University Hospitals NHS Foundation Trust) and Dr Sarah Bohndiek (Group Leader at the Cancer Research UK Cambridge Institute and Reader in Biomedical Physics at the Cavendish Laboratory). The Programme benefits from an engaged Steering Committee and in 2018 appointed a Scientific Advisory Board. 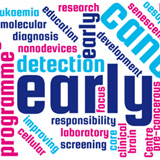 The CRUK Cambridge Centre Early Detection Programme funds and supports specific projects ranging from basic science to the societal impact of early cancer detection and encompass early cancer biology; new detection technologies; public health and clinical translation. The Programme also funds dedicated early detection research labs investigating diverse aspects of early detection based in the Hutchison/MRC Research Centre building. Cancer Research UK have committed to a significant investment in early detection research through funding three Centres of Excellence and we are pleased to report that the Cancer Research UK Cambridge Centre Early Detection Programme has been selected, together with two other UK institutions, UCL and the University of Manchester, as one of the UK member centres of the International Cancer Early Detection (ICED) Alliance. The ICED Alliance will be a unique, science-led, collaborative investment that will support early detection research and allow early detection leaders to nurture the field towards maturity. The Early Detection Programme is committed to collaborative working and has established trans-Atlantic partnerships with the Canary Center at Stanford, the first US institute dedicated entirely to early cancer detection, and with The Knight Cancer Institute at Oregon Health & Science University. 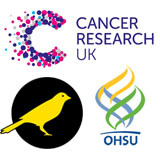 The Programme is funding joint research projects with the Canary Center, exploring innovative means of detecting certain cancers at an earlier stage. If you are interested in any collaborative projects with the Early Detection Programme please do get in touch. 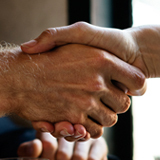 The Early Detection Forum events offer opportunities for networking, communication and collaboration between researchers and partners across a wide range of disciplines. In addition, we organise a number of public-facing events to encourage public engagement in the early detection debate. 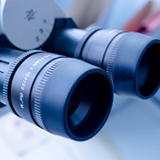 The CRUK Cambridge Centre Early Detection programme is a dynamic collaboration of researchers, clinicians and scientists based in the Cambridge area. Click below for an overview of opportunities with the Early Detection programme itself, early detection related vacancies with our collaborators, studentships and funding opportunities. 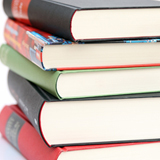 Our website is regularly updated with early detection-related publications on which members of the University of Cambridge are collaborators.